Home Analysis & Views Should I buy or rent a house? Million Rupee question “Should I buy or rent a house?” because in most of metro cities you can’t buy a decent flat which is under Rs 50 Lakh. In Real Estate series we have already covered “Indian Real Estate Bubble” & “Real Estate Affordability”. Today we are touching yet another sensitive issue or “Oh My God!” thing. If you have not seen movie OMG – let me share that people don’t appreciate & even stand against person who give different views than normal belief. Buying house is as sacred as praying to God in India & there must be lot of pressure if you don’t own one. Disclaimer: I own a decent house & I am biased towards buying a house before retirement – 100% of my clients who don’t own a house are having this as a goal. But few questions are buying today or after few years – buying in heart of city or suburbs – buying in city where you are currently working or buying at native place or the place where finally you would like to live after retirement. We can’t quantify the numbers for above points but still most of the indicators are not in favor of home buyers. So it’s not a cake walk & you have to be much more prudent and do your calculation than people who bought properties in last 5-6 years. Robert Kiyosaki is a big fan of property investment but surprisingly he calls House a liability. Why – check this Video. You may not agree with his definition of asset & liabilities in this specific case but we can add another angle which will draw a line between house is an Asset or Liability or Need. Check this image & tell me who is wealthy. 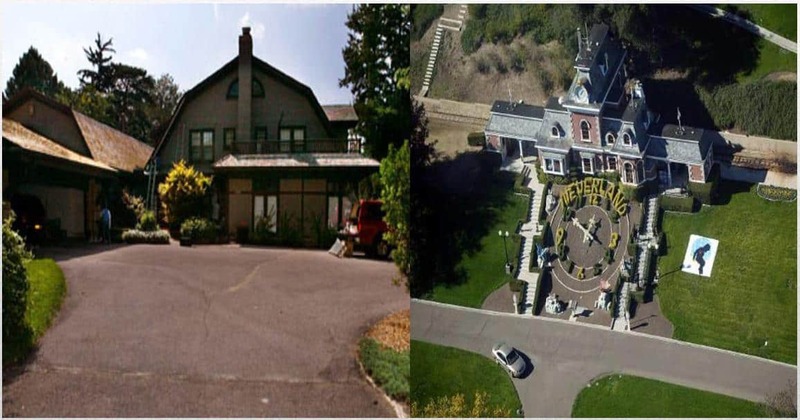 The House which looks like a house from a fairy tale was owned by Michael Jackson, the second one which looks like an average house belongs to Warren Buffet. Michael Jackson was bankrupt as he bought a house which was a ranch and then made a zoo and an amusement park inside. His house was his biggest liability due to EMI &maintenance cost. While, Warren Buffet is still one of the wealthiest person in the world. So you should know your limits – you should not overspend in buying house. House is not a show off thing. Make it comfortable to stay and not unaffordable to maintain. Coming back to our core agenda of today – let’s evaluate which makes more sense right now. 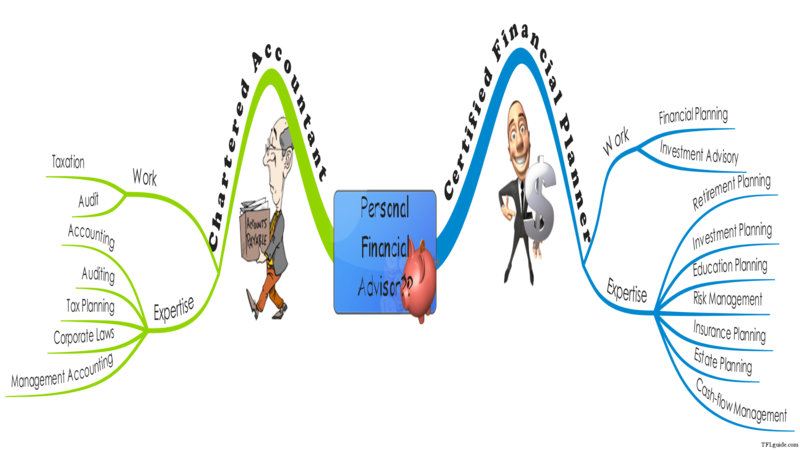 Answer can be different for everyone so do your calculation or talk to your financial planner before taking final call. I have assumed rate of flat price increase at 5% – because I thought let’s not take it negative and scare the readers who are reading this. 🙂 You can take your own assumptions but if its higher than 8-10% – go & check HDFC chart here 1995 to 2012 (rate less than 5%). But if price double by next year don’t come running to me. 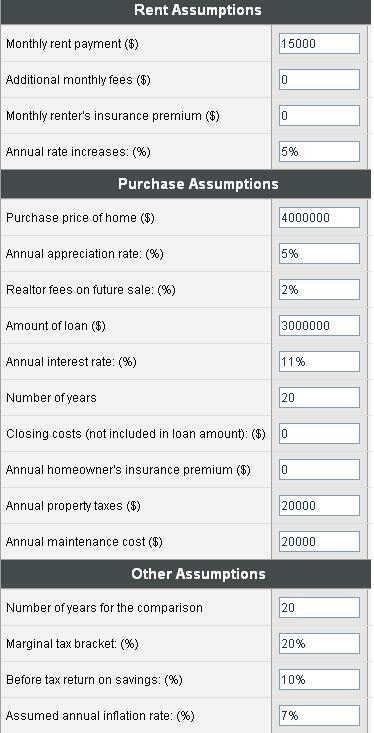 Above calculation show that I am having marginal benefit in renting a house rather than buying. You can share your views in comment section. You can do your own calculations with MSN Calculator (ignore dollar sign) – You can also try The Wealth Wishers calculator – its excel based & Indianised – click here (make sure to add ZERO in total amount of deduction for principal payment as we have n number of options for availing 80C benefit). You can easily learn the things & apply on your situation. The case against buying becomes even more compelling if you are an investor, not an end user. The rental yield, which is the annual rent of a property as a percentage of its market price, has steadily dipped in urban areas. In overheated markets, it works out to merely 1-1.25%. In other words, a Rs 1 crore property will fetch a monthly rent of only Rs 8,000-10,000. Experts say that if the rental yield is below 4%, the investment is not worthwhile. This is especially true if the cost of capital is high. 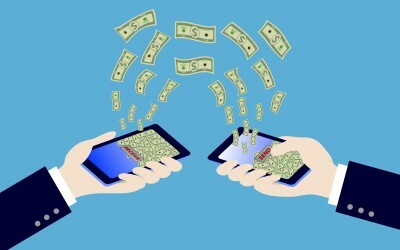 What you pay as interest on the loan will neutralize any gain from the property. 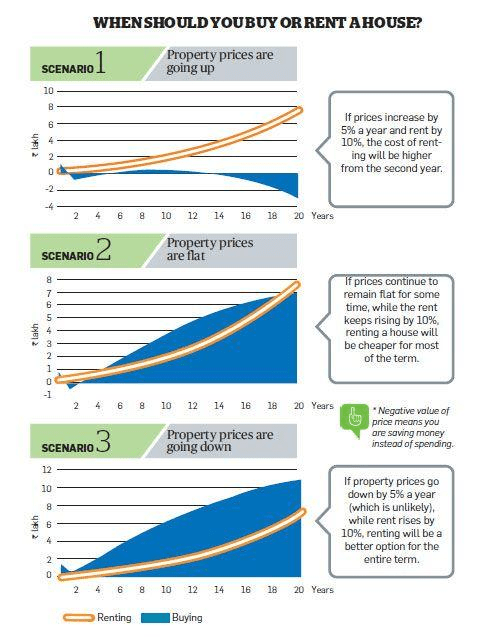 If house price is over 25 times the current annual rent you are paying, postpone buying the house!!! If cost of house = 30lacs, ratio = 30/1.08 > 25!!! If buying a house for 30lacs @11% home loan rate and letting it for rent, then minimum rent should be 12500 pm! 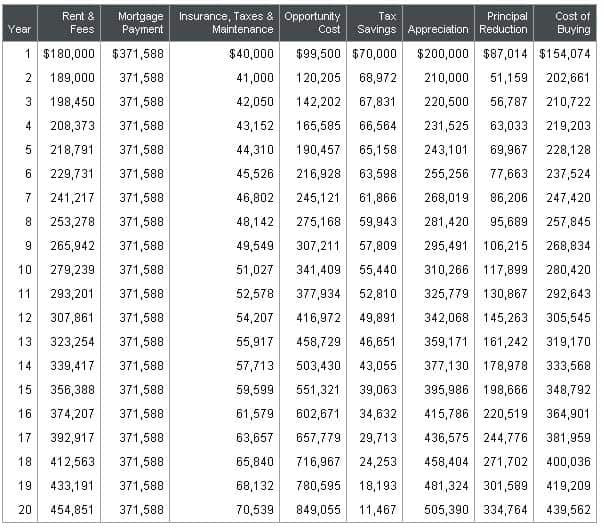 Max 2.5 times your income should be overall debt to buy a home. If you are taking 30 lakh loan, your annual income must be atleast 12 lakhs! Your total housing payment should not exceed 30% of your net income. To afford EMI of 30k pm, your net income should be atleast 100k pm! Next Post: In last 3 posts we talked mostly about buying first house – what about if we are talking about investment in real estate. It’s human nature to play safe and not to indulge in risky matters & people thing buying property is the safest thing. Investment in real estate sector has different parameters to consider but basic concepts of return and risk apply in this domain also. I will cover this in next post. I believe you must be having some idea after reading this post & using calculators. Anyways, last suggestion “take cool headed decision”. Buying a property is a huge decision where you invest what you have; you build liability and pay a part of your future earnings to claim the clear title. So your decision has to be well thought and well believed. 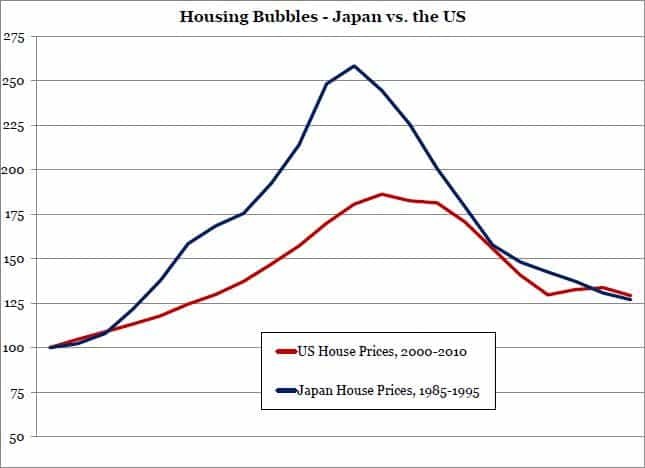 Previous articleCan I afford a house at current prices? Again very nice analysis. This is how I would like to interpret this. If I can manage 30% of net tkhome towards EMI, 30-40% towards all other goals and 40-30% towards expenses then I can manage to buy a house. If my rent is less than 30% of tkhome then I am comfortable. However I think it is extremely important to look at all priority financial goals like retirement child’s expenses etc. before taking the plunge to get a loan. This means I will have to settle for a house as determined by the EMI amt and not by my dreams. I will have to live an extremely frugal lifestyle and take into account future monthly expenses. My job stability and my salary stability are crucial. If they bound to fluctuate it will be a problem. Of course I cant get into any other loans or debt. This is all too rosy. The ground reality is inflation in India is close to 10% for almost all goals. This means I have to save 30-40% of tkhome without fail or the goals will suffer. So it is walking the tightrope. Buying a house I think for most implies reshaping ALL their dreams short and long term. I think it is very important to be mentally prepared for this. Two earning members make a big difference. This will take care of a major worry provided my children are independent. Reverse Mortgage is not picking in India due to all BLACK & white reasons + emotions & family pressure. Jagbir has made a very comment in the WealthWishers article. The purchase price of the house and rent paid seem to be crucial. The rent should accurately reflect the value of the house. Generally for low rent, renting wins. If I am renting a house worth 40L and want to buy a 60 L house then renting will obviously be better I guess. I am not sure property price will correct or not but wait for some time you may find great rent deals. Property price can depend on anything but rent depend clearly on combination of demand-supply & affordability. The assumptions seems to be good but for how long can a person live in a rented house? At sometime in his life I am sure every person will give more than just a thought to buy a house. It gives an immense satisfaction to have a own house. Now I am not sure whether these calculations are right because this article does not tell in clarification that a house rent will remain same for 20 years. Every year, there will be a hike in the rent by at least Rs. 1000 in metro cities plus the house deposit that you have to pay at initial stages.Surely thats not the case with the EMI. From a nationalized bank the EMI is fixed for at least3-5 years. I think you missed 5% increase in rentals – which is standard. Yes I did miss that… So, what is the reason behind this property hike since last 8 years as you said. I remember once you said that, if you want to purchase a house, it should be on the basis of living requirement and should not be concerned with the current rate of interest and I completely agree with that. There can be many reasons but 2 main reasons that comes to my mind are – property was available cheap as there was no increase in prices in that decade & Indian growth story with high employment that made it more affordable. There are few things in this world that cant be thought of in terms of money only. owing a house is one of them. Though on first look, it seems to be marginally financially in favor of renting, but satisfaction of having a house in immense. i am myself living on rent (20,000/month for 2 BHK in delhi) and looking to buy a house on a big loan amount. as a tenant, i am never called upon the society meetings about some important discussion about the society . Also, my annual increment is 10% , not 5 % as u have shown in the calculation. these days, an owner never wants to have a tenant for more than few years and hassles of changing house several time in your life time with children, hampering their studies is not a good practice. I clearly mentioned that I am biased towards buying house – for the reasons that you have mentioned & many more but right NOW buying decision is not that easy. Nitin Agarwal from GD?. Just guessing. I want to bring a new point in here. For many of our cases we have family home….may be not in metros, may be suburb or villages…but we forget that and behave as if we are not man enough or women enough if we don’t posses a house of our own. We have forget the beautiful philosophy the earth has lot to feel our needs but not our greed. Can we not reuse those houses which our parents or ancestors have built and save wealth, environment and energy. Obviously I know people leave in Metros to work (I myself do) and need a house , but will renting not suffice and when u are over may be with you job life, go back and settle in your roots. That way it will be better than to- buy and invest, and forget age old concept of – reuse and return to root. I feel it is a big sock for some to return to those old town’s or suburbs which lack many facility but I feel it’s more a mental attitude then actual physical problem. Need of a house is like need to show power that I too have Buying capacity but that do so much wastage to environment, energy, wealth everything. Even Bhagwat gita says to reuse and reconcile and not to give in to greed and show of power. Peoples who don’t have such ancestral homes to fall back on can please Ignore me kindly. Your comment is so interesting that I couldn’t stop myself commenting on this. This society has both kinds of people. People with own houses and people living on rental. Imagine if everybody wants to live on rental basis then who will buy a house or vice versa. Coming back to your point I think its very good idea to revert back to the old living days only if the entire family lives with you of all generations. For me and for many I guess the definition of a house is that a house only depends on the family atmosphere rather than show off. If parents, grand parents and children live together and happily wherever it may be, that is what a home is all about. You rightly said but there can be n number of permutation combination which are beyond scope of any article. There is a great message in this “What a fool, who will invest 12L in real estate” can you guess why your relatives said this in 2004?? Another excellent article! this will help me in finalizing my goal to invest in property. Thanks for refering to the calculator and informative article. Your comments also helped. Thanks. Excellent article with nice data points in favour of both. One thing i did not understand about the calculation: What is opportunity cost and how is it calculated? 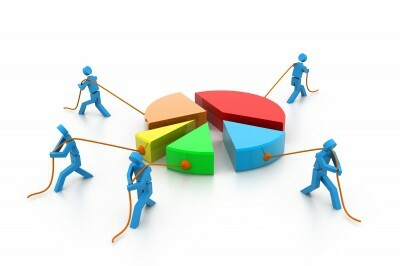 Opportunity cost is – if you invest that amount at some other place or some other investment avenue. You mentioned that the total housing payment should not exceed 30% of annual income. However, isnt it true that while annual income might increase by 10%, the housing payment is by and large fixed for the entire duration of the loan. In which case, the % of annual income towards housing payment will keep decreasing over time and hence, you can afford to buy a house with as much as 50-60% of annual income towards housing payment in the first year. I have talked to several people in their 40s whose monthly EMI is in the 15-20k range, which was very high when they first bought the house, but is hardly a pain now. I am totally agreed with Manoj.. We can’t judge or weighted every thing on investment parameters… Spend hole life in renting house not practically possible… Upper calculation also required to include shifting charges, agent commission , security deposits etc and mental harassment when your landlord want house vacant on short notice… and at last not least we are human beings we also have some desired goals too.. I am a businessman involved in spare parts manufacturing business. I have never own a house in my life. My age is 72 years and I still rent a house. I have my own house at my native place, but no house in Mumbai. Renting gives you pleasure to change your houses when you are bored with them. Good article by Mr. Hemant Beniwal, but I would like to tell you that we write anything or explain anything, different people have different mentalities and they get what they deserve when they are old. Business people will do business anyhow and rat racers will participate in rat race. If real estate was really that lucrative, then we would not have got any plot/flat vacant yet. All politicians have bought the lands and plots and would not have sold them. I wud like to point out also that whoever says that changing the rental apartments is a problem for them as well as their kids, I wud just like to inform them that we should not be so ambitious about our own rat race that we should spoil our life just thinking about living houses. Thanks. Really good one!! I’m also agree with rented house is benificial than buying . But how about returns??? we wont get anything for paid rent money. Let me guess…you think insurance is investment and buy endowment policies right??? it seems you have not understood the article itself. Request you to read it couple of more times. Very nice article. One question on this – “Max 2.5 times your income should be overall debt to buy a home”. 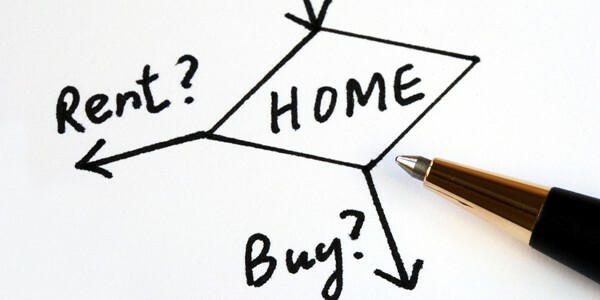 There are two parts while buying home – down payment & loan. Does this mean that, if we have the cash, it is ok to give any amount as down payment as long as loan amount is <2.5 annual income? or is there any limit/formula on the total value of the house? There is no specified formula or limit to buy a home but this is an ideal situation to keep the total debt within these limits. well analysis by u. but real state investment is destination of choice of everyone. I can’t purchage a flat at present. What is the formula here? How should one calculate this? Really its helped me a lot. The information you said is really true and we are unable to find any cheap land to buy and also if seen so much number of disadvantages with it. If bought building a house is a great life time task in humans life time. It is a dream to have a own house like the same for me too. Rentals and maintenance with all other expenses goes high so without an standard income earnings we are unable to plan any purchase of home with home loans as RBI often changes interest rates and inflation also high day by day. Very informative article gave some insight for first time buyer . Also wanted to know if size also matters here ?as I have seen some people buy or rent houses that are too big and pay extra for that extra space .can size also be a factor while deciding between the buying and renting ?may be buying a bigger house but renting a small house or vice Versa. I’m paying Rs. 6k monthly as a rent for 1HK(300 sq. feet) to my flat owner. Flat is located at Pune, Kothrud depot in decent locality. Am I paying too much for this 1HK flat? Could you give some info on how one comes across these calculations? 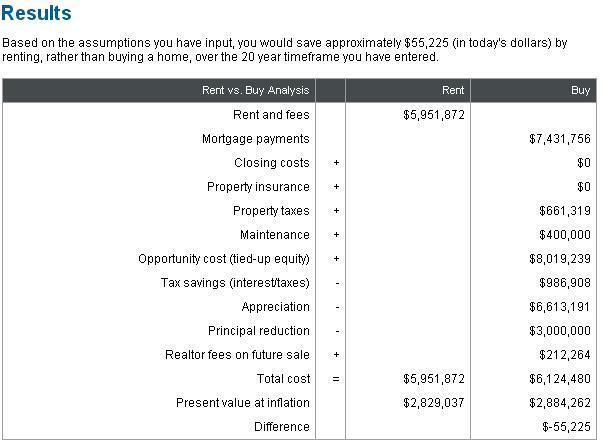 i did the math for myself.. and renting was the no-brainer decision. And I haven’t even factored the benefits of the freedom to move wherever better prospects are, which is easier when you live on rent compared to when owning a home. buying and renting a house is same stategy. only anyhow there should be small loss when we buy a house, but there is a option to own a house independantly. 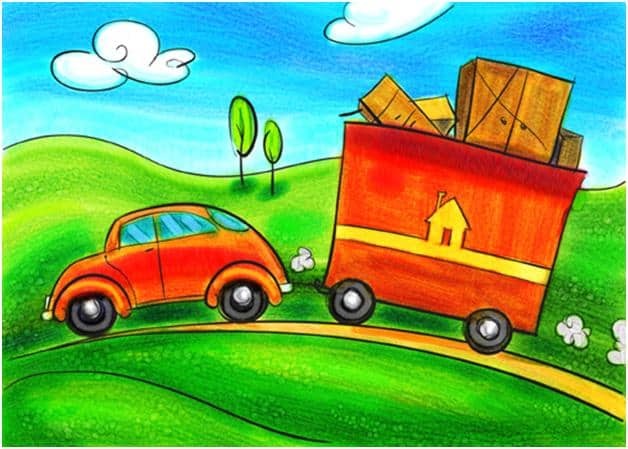 but at the same, with the same house till we must be stay by paying the emi, even with lot many difficulties around it, when it is come to rented house, its a easy process where it can be easily relocate based on our requirement as well, finding may difficult but locating ourself is easy. if any financial crisis arise, we can easily adjusted with less rented house ratio as per our needs. instead of compromising and making ourself digging in own house, better is to be in rented well furnished house.